When applying for long term disability, keep in mind the attorneys and the insurance companies do an investigation and will check your social media. We all use some form of social media today. Whether it be Facebook, Twitter, Instagram, or Tumblr. Our lives now days are an open book, a little too open. In some ways its a good thing, because you get to keep in touch with friends and share adventures. In other ways it can be your downfall. When you are involved in a personal injury case, worker's comp case, or any legal case of any type. Courts and police review your online comments and photos on all of your social media sites. Judges are allowing social media posts, photos, comments and check-ins as a part of discovery. Discovery requests that are granted by the courts allow the attorneys to use the photos, comments, and videos as a way to to determine your emotion, feeling and mental state. 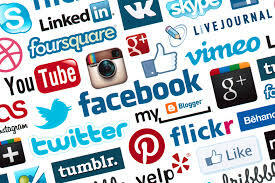 The New York Times reported that the use of social media has skyrocketed as well as the gathering of information for a legal using those post on social media. They reported the 80% of law enforcement agencies has surveyed social media to gather important information. You may not have anything incriminating on your social media, but some post can be confusing or misleading. How? Well, if your are seeking compensation for a personal injury or involved in a workers comp case, if you post pictures of you uninjured that may raise some speculation that may hurt your case. Even posts like "throwback Thursday" on Instagram and Facebook could potentially hurt your case. 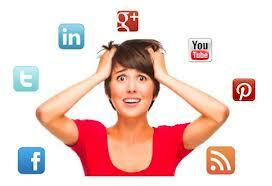 The attorney that you are working with may recommend you to not use social media while they are handling your case. Your attorney may be able to prove that your post was a "throwback Thursday" post, but that time could be better spent on getting you your compensation and not defending your use of social media. Using social media during a case is tricky. If we are representing you in a case and you would like to know our opinion on the use of social media and your case, reach out to us. The attorneys here at Donahoe Kearny, LLP have experience with personal injury and workers comp cases. We can help you get the compensation you deserve, even if we do not take your case, we can refer you to someone we trust.